The activities of the different Riviera Nayarit CVB departments continue to bear fruit, so much so that both tourism recovery and exceptional numbers are now a given. 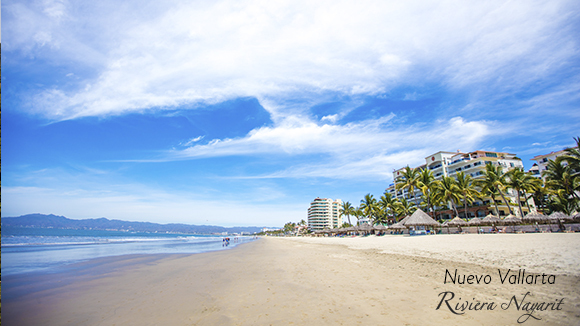 The Riviera Nayarit Convention and Visitors Bureau (CVB) has carried out innumerable activities via its different departments, guaranteeing the Destination’s positioning on the national and international stages. The Public Relations department currently works with 7 agencies in 9 markets: Mexico, North America (Canada and the United States), Colombia, Brazil, Argentina, England and Spain. During this first semester the department welcomed 89 different media via 20 press trips, 11 film productions and 7 photo shoots and participated in four events and fairs. Thanks to these activities the Destination garnered over 1,195,000 media impressions. The Promotions and Sales department completed 145 activities including 36 seminars and caravans, 30 brand awareness events at fairs, 10 FAM trips and 66 training workshops in South America, where 9,964 travel agents, sales agents, meeting planners and tour operators received important updates. The Groups and Events department collaborated in the creation and/or organization of 41 artistic, cultural, sports, political and social events, as well as 7 meetings and conventions in the Destination with the participation of 36,140 attendees. The E-Marketing department has set into motion seasonal promos, online contests and other marketing efforts on social media, which have collectively generated 17,681,161 impressions on Facebook, Twitter and Instagram. All of the Destination’s social media accounts have been continuously growing in followers over time. Thanks to the campaigns put into place by the Advertising department, the Destination received 69,834,812 media impressions. The images of the national and international campaigns were also updated to showcase the Luxury, Fun in the Sun, Nature and Adventure segments.